As the financial struggles of large retailers continue to dominate headlines, Surmesur is bucking the trend by continuing its North American expansion, choosing Vancouver as its latest store location. 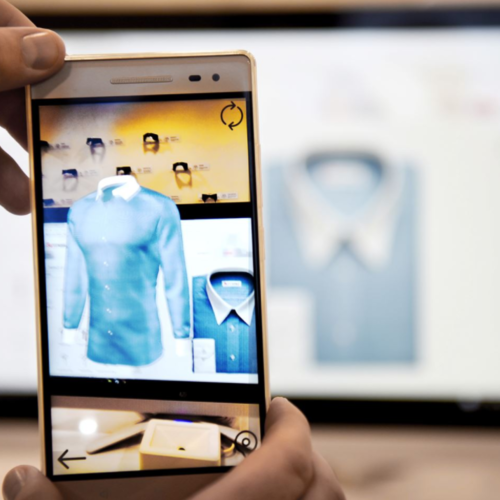 Shirts, for example, can be designed in real time and viewed on a mobile device with the garment shown on a 3D avatar representing a customer. 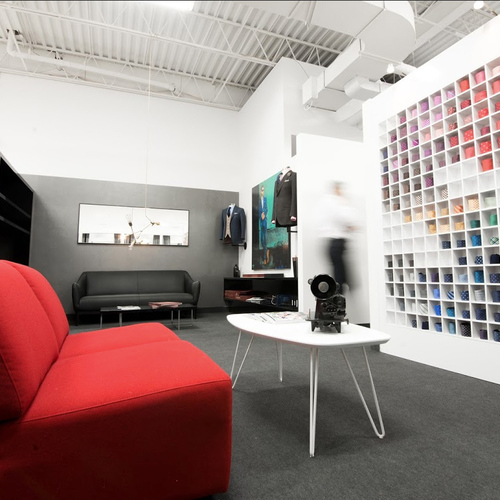 Clients can choose from 8,000 kinds of fabric and create their own shirt, from collar to cuff, and examine how the elements come together in an interactive setting — rotating 360 degrees to see different angles and zooming in on details. 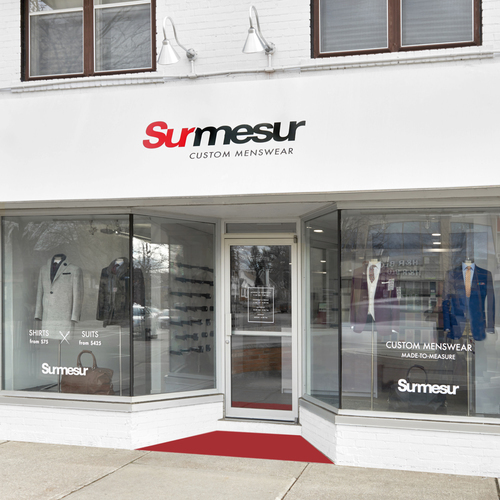 After recently opening its first two U.S. stores, Surmesur is continuing its expansion closer to home with the inauguration of a second location in the Greater Toronto Area. For a sixth consecutive year, Surmesur is selling a specially designed tie and pocket square to raise funds for prostate cancer research. 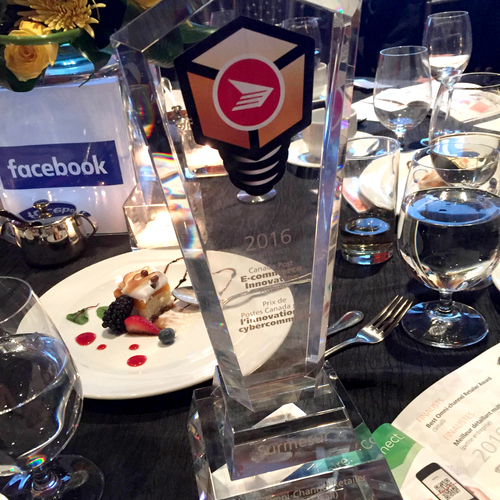 Surmesur has been awarded a Canada Post E-Commerce Innovation Award in the category of Best Omni-Channel Retailer (Small Business). Hot on the heels of its first store opening in the U.S., Surmesur has taken its original custom menswear concept to Chicago.After a year of planning and searching for the perfect fit, Surmesur Chicago is now open for business at200 North LaSalle St., in the heart of the city’s famed financial district.“We’ve had Chicago in our sights for a long time,” said co-founder François Thériault. 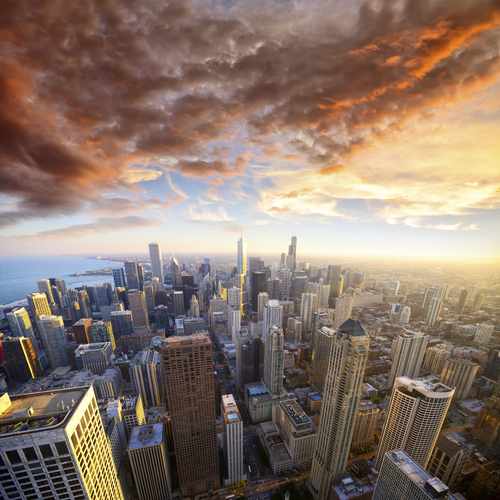 “In fact, thousands of Chicagoans have walked pastour door every day over the last few months while we were inside, working on the finishing touches –well, those doors are now open.”As one of the country’s largest cities, Chicago was a logical choice for the rapidly expanding clothingcompany and its original shopping concept.With shirts starting at $60 USD, suits starting at $375 USD, the company is confident that residents of the Windy City will warm to the Surmesur experience.The Chicago store is the eighth for the custom menswear retailer and the second outside Canada’sborders, with the recent opening of Surmesur Pittsburgh.The store opening has created a dozen new jobs in Chicago. The past weekend was a rewarding one for Surmesur, as the company and cofounder Vincent Thériault received two separate entrepreneurial awards in as many days. Thanks to its annual fundraising campaign launched in 2011, Surmesur was recently proud to donate $50,000 to the CHU de Québec to help in the fight against prostate cancer. 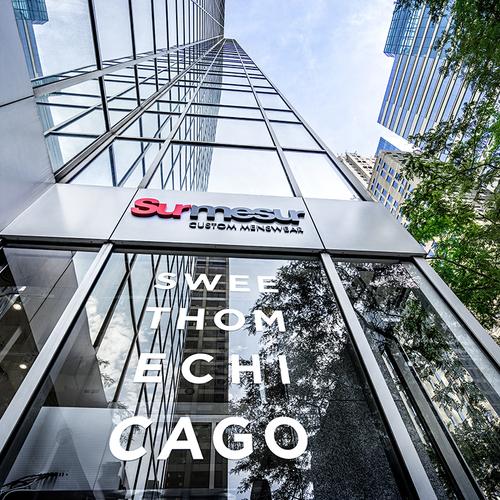 Surmesur is proud to announce the opening of a new store in Mississauga, the company’s sixth in Canada and the second to serve the Greater Toronto Area. Tie up to fight prostate cancer! This November, Surmesur is proud to partner with local foundations to support prostate cancer research. 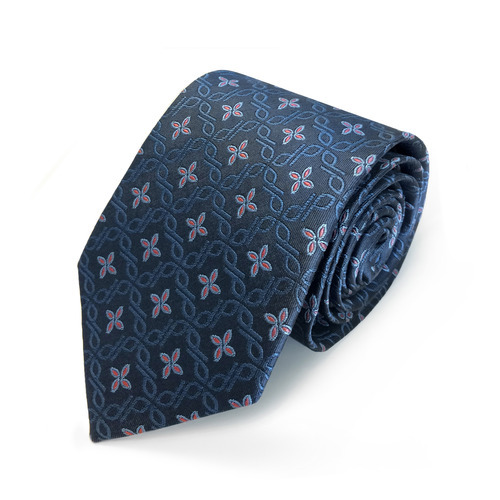 For the fifth year, the designers of Surmesur have created a limited edition tie, as well as a bow tie and pocket square. The same fabric has been chosen for all three items, which will be available starting November 1st in our five boutiques in Canada. The “tie for prostate” will be sold at $35, the bow tie at $30 and the pocket square at $15. All profits will be offered to local Foundations that help research against cancer. Surmesur wants you to embrace your inner artist. 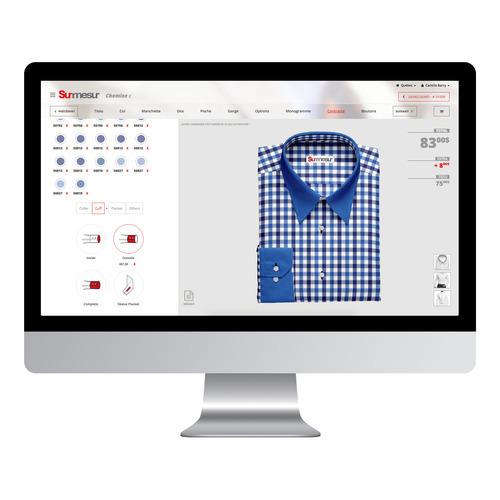 Our new garment creation software, the Studio, is now in stores. The streamlined interface lets you view your masterpiece before ordering. A 5th boutique for Surmesur ! We are proud to announce the opening of its fifth store in Canada, and third in Quebec, following Montreal and Quebec City. 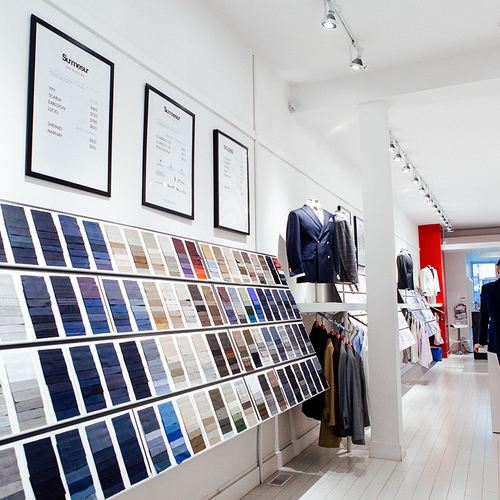 In few weeks, style consultants will welcome their clients close to the Carrefour Laval, at 2200 Boul. Le Corbusier. 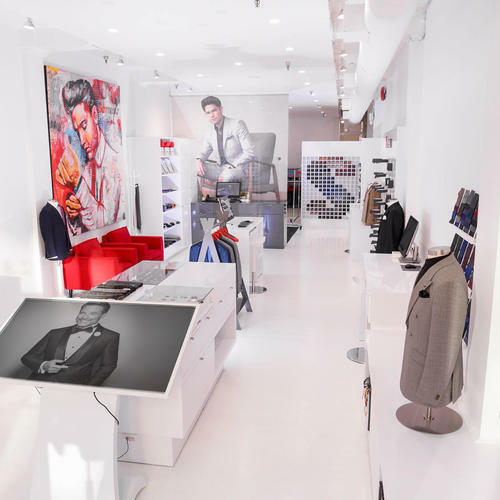 In October, Quebec City-based customer menswear retailer Surmesur will open its fifth location, and it plans to continue growing in order to serve its increasing roster of clients. We spoke with its co-founder to gain insight into its technological innovations and price competitiveness, as well as its real estate strategy which involves avoiding shopping centres. What an honor! 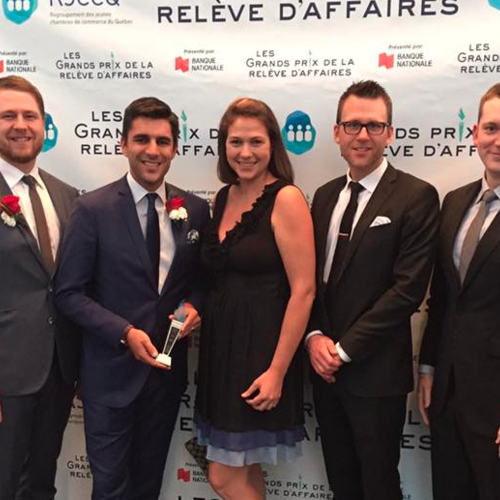 Surmesur is part of the finalists for the 2015 Fidéides in the "Retail" category.Organized by the Chamber of Commerce and Industry of Quebec, «Les Fidéides» rewards the success of entrepreneurs in the Capitale-Nationale and Chaudière-Appalaches. Paula McCooey, Ottawa Citizen - When a woman shops for a wedding dress she is often fussed over by a boutique seamstress and her bridal party, so it’s only fitting the groom receives the same star treatment. 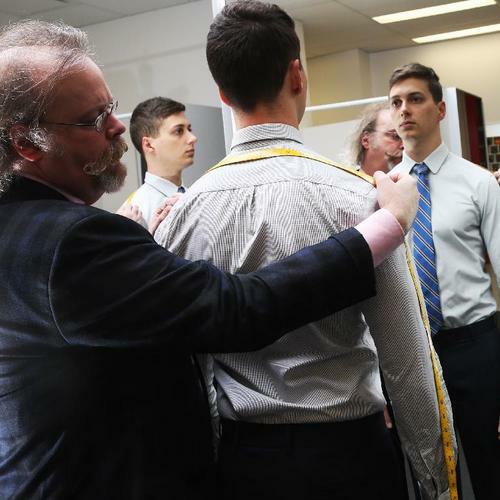 Ottawa’s newest men’s shop, Surmesur, (surmesur.com) has every angle covered — and measured — for a customer’s big day. Now open in Ottawa ! Ottawa, Ontario, 5 août, 2014 — Les boutiques de vêtements pour hommes Surmesur sont fiers d’annoncer aujourd’hui, l’ouverture d’une quatrième succursale, cette fois, dans le Centre-ville d’Ottawa. Selon François Thériault, co-fondateur de Surmesur, « tout porte à croire que l’emplacement stratégique de la boutique – située au coin des rues O’Connor et Slater - conviendra tout particulièrement à la clientèle travaillant au centre-ville qui appréciera la commodité de cette proximité ». www.torontocitygossip.com - Humans are a social species by nature, and it is no secret that we fashion folk seek to take advantage of this. If there is one thing the style-savvy crowd adores, it’s revelling in a fabulous night of food, fun and mingling. Walking around Toronto’s Queen Street East area a couple of nights ago, it was hard not to notice the on-stream of good-looking gents exhibiting some serious swagger. 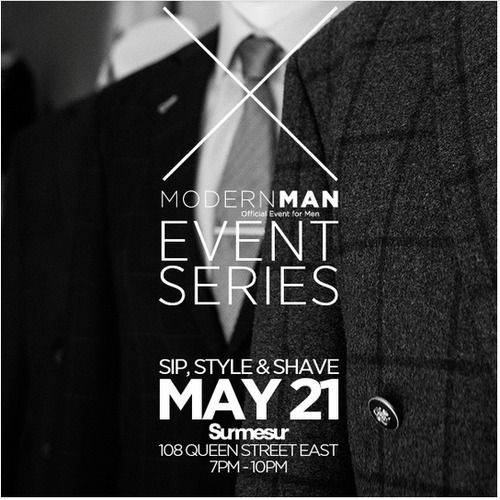 From colourful collared shirts to quirky bow-ties, the city’s fashion-conscious were dressed in their Wednesday best, looking forward to attending what promised to be an Instagram-worthy evening at Surmesur hosted by Modern Man. 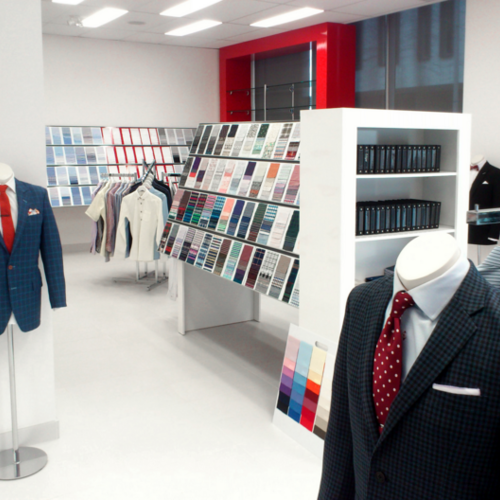 MONTREAL — Outsource your tailoring to Asia, thanks to 3D technology — that’s the award-winning idea the Thériault brothers of Quebec City had three years ago. www.torontolife.com - Too many men make do with boxy, off-the-rack suits because they think going bespoke has to be intimidating and expensive. Surmesur, a new custom menswear shop downtown, is neither. 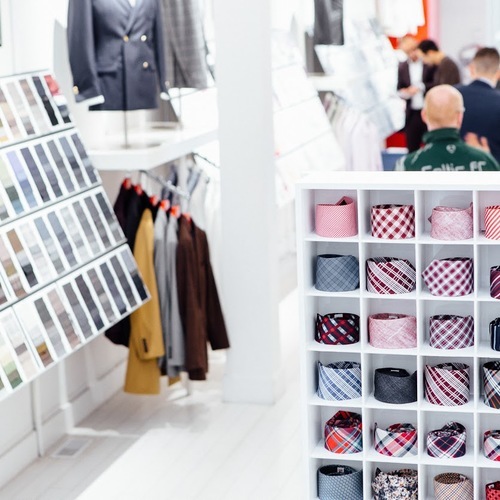 Owners Vincent and François Thériault, who opened their first store in Quebec City before expanding to Montreal and Toronto, break the tailoring process down into simple steps. 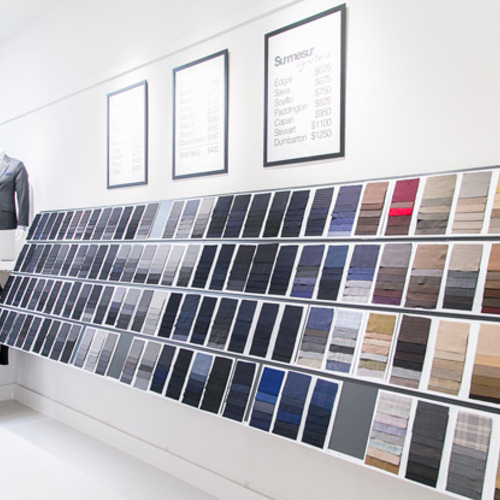 Customers start by choosing a fabric, which determines the price of the garment. Next, they make selections from a checklist of options (slim fit? Spread collar? Contrast stitching?) via touchscreen monitor—a high-tech way to help befuddled dudes differentiate a peaked lapel from a notched one. There’s even an airport-stylebody scanner (to take measurements) and a floor-length flat screen that displays the finished look. ''Le Bal Philanthropique'', the VIP party of the year in Quebec! Québec | Surmesur is proud to associate with the second edition of philanthropic bal as official dress supplier male members of organizer committee and the contest winner in waves on WKND Radio. Toronto, Ontario, August 26, 2013 — Less than a year after the launch of our second boutique in Montréal, we are very proud to announce the opening of a third location, this time in downtown Toronto. 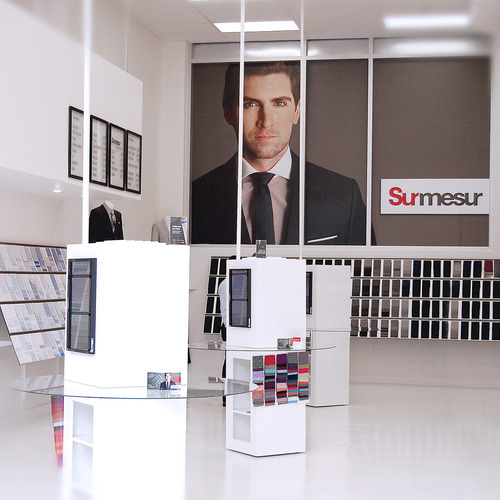 Originating in Québec City, Surmesur is an innovative consumer concept offering distinctive clothing for men, manufactured according to their taste and tailored to their measurements. “We have created a unique shopping experience! We pay close attention to our clients, and don’t impose any particular style”, explains Vincent Thériault, one of the company’s founding brothers. Why? You can do better than Moores.